Google Adsense is a CPC (cost-per-click) advertising program which enables publishers (anyone wanting to put ads on their websites) to insert a small amount of HTML codes into their sites and have relevant ads which are related to the websites contents displayed to targeted website users. 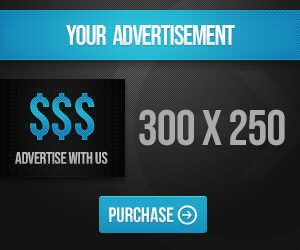 Website owners earn money when site visitors view or click the ads. The advertisements are controlled and managed by Google and Web publishers simply need to create a free AdSense account and copy and paste provided code on their website to display the ads. Revenue using AdSense is generated on a per-click or per-impression basis. When you check out a Google search engine results page, you will see the organic search results on the left and adverts to the right. Google adverts appear in first position, immediately above the search results, labeled ‘Sponsored’. These adverts are what Google refers to as its AdWords program: pay-per-click (PPC) adverts, where advertisers pay for every click made on their advert. They are listed in order of how much the advertiser offers to pay Google for the click. The hire the amount an advertiser is willing to pay, the closer to the top of Page #1 of the SERP’s their ad will appear. Google publishes these adverts on web pages and blogs who request for them and pass the approval stage. Whenever an AD is clicked, the publisher whose blog/website where the AD is being displayed earns a percentage of the click price(CPC). You apply for AdSense, using a well designed website on which you want to publish the adverts. If approved, Google allows you to publish ad blocks on your site. These are blocks of one or more adverts: you will likely have seen these on other sites. You can decide on how many adverts you want to publish and their placement positions too. Google then visits the web pages containing your AdSense blocks, and uses semantic analysis to establish the theme of your page . It then publishes adverts in these blocks from its AdWords program that it believes relates to your website or blog contents. Advertisers pay for clicks on their adverts optimized for specific keywords, ranging from 1 cent to over $50 for each click. These depends on how competitive the keyword is. The highest bidder always gets listed at the top. When a visitor to your site clicks on one of these ads, your account is credited with 68% of the click cost for that AD. Affiliate marketing involves selling products belonging to other people for a commission. It’s pretty similar to being an online sales agent, and you can sell any product offered for affiliate commissions. Provided you have the knowledge and skill set to market a product and convince people to buy it. Some of the well known affiliate marketing products platforms include ClickBank, Commission Junction, Amazon, WarriorPlus, Maxbounty and JVZoo. You advertise a product on your blog and you get paid whenever somebody purchases that product through your affiliate link. Affiliate commissions can be 50% and over of the sales price for electronically deliverable products (eBooks, software, etc) with have no replacement costs. Physical products can offer 2% commission upwards. It doesn’t sound a lot, but if you are able to sell entertainment systems worth $12,000 from a click on your site, then you can be making something tangible. To become an affiliate marketer, you need to sign up for one or more affiliate marketing programs. I’ll recommend Amazon to begin with if you are still a newbie to affiliate marketing. Also ensure you have a website or blog to promote and advertise these advertise products on by adding your affiliate reference in the sales link. Your affiliate program will guide you on how to do this, and most will provide graphics and promotional material to help you sell. Affiliate marketing is most profitable if you generate your own emailing list using an autoresponder. This might involve spending some money, depending on the autoresponder your choice of autoresponder. However, the efforts you put in at creating a list can make or break your affiliate marketing career. Remember the phrase which says “There is money in the list”, so if you succeed in creating a list of active email subscribers, then you can always communicate with your list and provide useful information on your niche to gain their trust. List members will then be more likely to listen when you recommend certain products to them. Affiliate Marketing Vs Google AdSense: Which Monetization Form Earns More? You can use AdSense if the topic of your web page has no related affiliate products for you to sell. It is passive income. You do not have to interact with customers or to create emailing lists. Just set up the ads and there is no real need to keep it updated with fresh content. All you need is massive, quality traffic. You can also go on to create other pages for AdSense. It is relatively easy to create multiple web pages with AdSense: lots of pages generating small amounts can quickly add up. If you do update or change your content, the ads will change to reflect the new content after Google bot’s crawl your website on their next visit. Google can change its policies any time, and your revenue could suddenly disappear or decrease considerably. It is very easy to fall foul of Google’s Terms of Service and have your AdSense account suspended. This means terminated, because the huge majority are terminated for life. Competitors can bomb your pages with random clicks which Google will regard as suspicious clicking activity. This could result in your adsense account being terminated. And once an adsense account has been terminated, the chances it being re-instated is almost zero. AdSense income is not viable as a long-term business solution. Instead, you should focus on building a business that has the opportunity for genuine growth. Depending on Google as an only source of income is a recipe for disaster. You can create a niche website or blog, and focus on selling products related to a niche or theme you are conversant with. Affiliate marketing has the potentials to be a long term business model that can offer a regular stream of income for many years. When you build an active list, you have a business asset that will pay dividends for many years as it increases. You know exactly how much you make per sell – unlike AdSense when your earnings per click can only be determined by Google. You can set up highly converting pre-sales pages to convince your website visitors to purchase your products. You can also pay for clicks if you desire, or use cheaper PPC programs to advertise rather than Google AdWords. Facebook Advertising, Instagram Advertising and Twitter Advertising are other cheaper alternatives. It is time-consuming. You must spend time writing persuasive promotional material, generating emailing lists and seeking out hot new products to sell. Personally, i will not advise you to use AdSense on your affiliate marketing pages. This could potentially harm your chances of making an affiliate sale, as a visitor might click an Adsense ad which would earn you peanuts compared to a click on an affiliate link which could convert to a sale and make you more money. After all that has been said, the major difference between Affiliate marketing vs Google Adsense is..That you make money from Affiliate Marketing money based on sale while Google Adsense money is made on the click. With Affiliate marketing, you have the opportunity to make more While Google AdSense will only make make you smaller amounts of cash regularly with very little maintenance. However, it needs a fair amount of trafficto be really profitable, and it’s not guaranteed as your account can be terminated at any time. While all you need is an active mailing list to sell your affiliate products. If you can put in considerable efforts at building a fairly large list over time, then you will reap the rewards in future, big time.